This week, the government of Sudan named a new 35-member cabinet. Nine positions went to the Sudan People’s Liberation Movement, SPLM, including the ministries of investment and cabinet affairs. SPLM member Lual Achuil Deng was named to the head the oil ministry. Six portfolios went to small opposition parties in the north and south. The ruling National Congress Party controls the remaining cabinet seats, including finance, defense and the interior. President al-Bashir has named NCP member Ali Karti to head the Ministry of Foreign Affairs. Karti told the press that any dispute over next year’s referendum over southern independence could lead to renewed war between the north and the south. Abnura says Karti will likely be a tough negotiator on issues that have yet to be settled between the two regions in the lead-up to the referendum. Among them is the demarcation of their shared border, which runs along lucrative oil fields. Officials from the north and south have also not settled the issue of the rights of northern merchants who own property in the south and southerners who live and work in the north. There’s also controversy around the nomadic Bagara nomads who cross from the north into the south to feed their livestock. 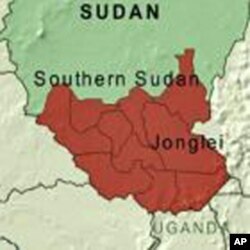 The Government of Southern Sudan has blocked their seasonal movements. Professor Abunura also commented on the naming of Lual Achuil Deng to the oil ministry. Until recently, the department and two others dealing with mining and electricity were part of the Ministry of Energy and Mining. 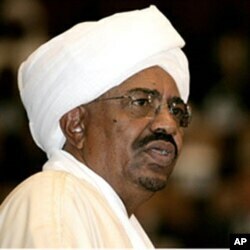 Recently, President Bashir divided them into three separate units. Abunura, who is also a former oil economist with Sudan’s General Petroleum Corporation, says “although he is a central minister, [Deng] does not have much power at the moment, because [of the split in the Ministry of Energy]. They’ve added [management of] dams to the new Ministry of Electricity [including the large and controversial Merowe Dam 350 km north of Khartoum on the Nile River]. The new head of that ministry [Osama Abdullah Mohamed El-hassan] is a powerful minister and a hardliner with the National Islamic Front." Deng’s appointment to the oil ministry follows allegations that the central government has not been providing the south with a fair share of the revenues from the export of petroleum, as elaborated in the 2005 Comprehensive Peace Agreement that ended nearly two decades of civil war. He says it would benefit the south to have experienced and senior members of the SPLM in the central government in Khartoum to ensure change takes place smoothly and peacefully.